The look and feel of a traditional photograph. Excellent photo results with vibrant colors. 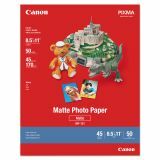 Canon Photo Paper Plus, 8.5 mil, 8 1/2 x 11, Matte White, 50/PK - Premium quality photo paper offers quality images. 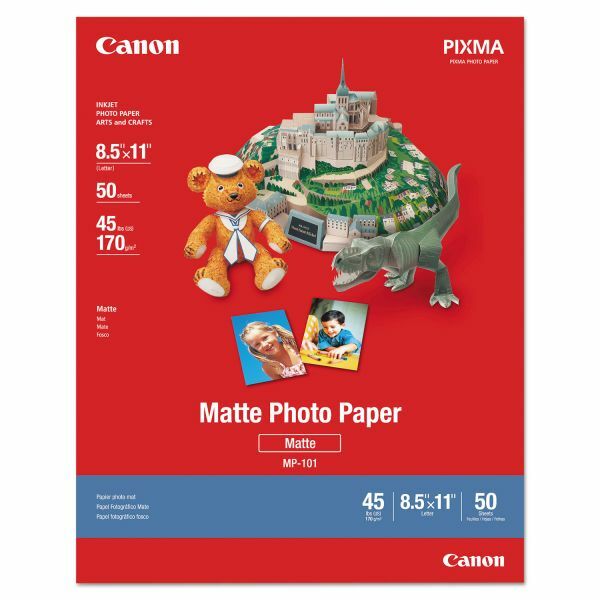 Matte finish photo paper is a heavyweight paper. Bright white paper provides vibrant color.